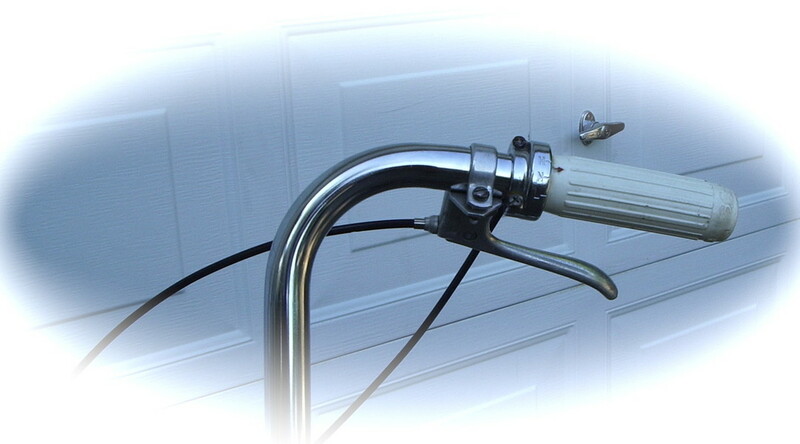 UPDATE December 17th 2012: Over the past summer I came across A Shimano 333 3 speed coaster wheel, and then a set of Shimano 333 3 speed pistol grips. 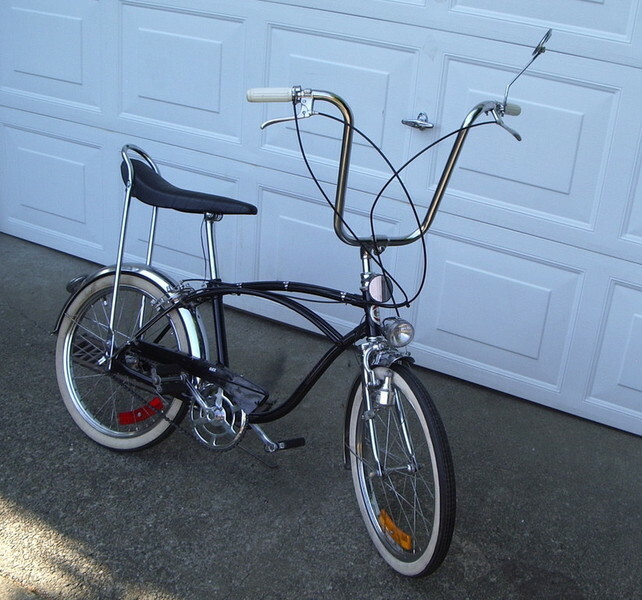 I have been thinking over the past 6 months or more on what I will do with my Black 20" Low Rider. 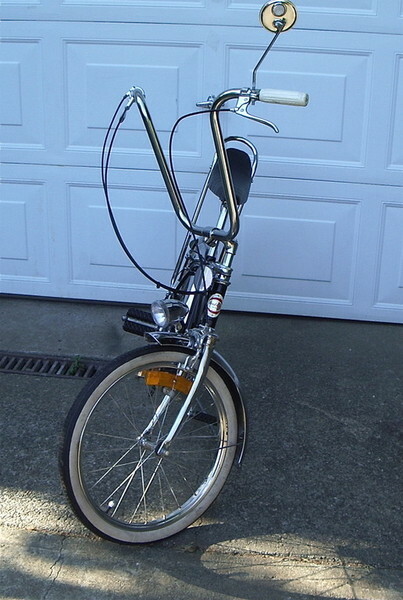 The hub is real cool. 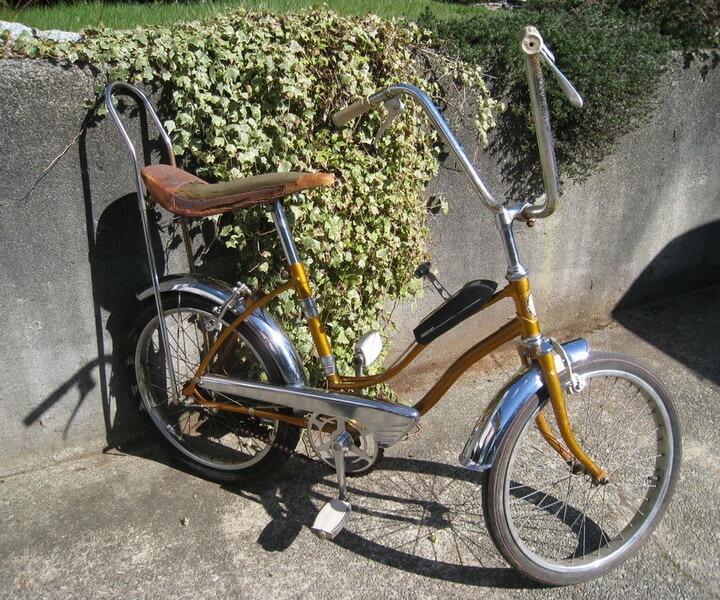 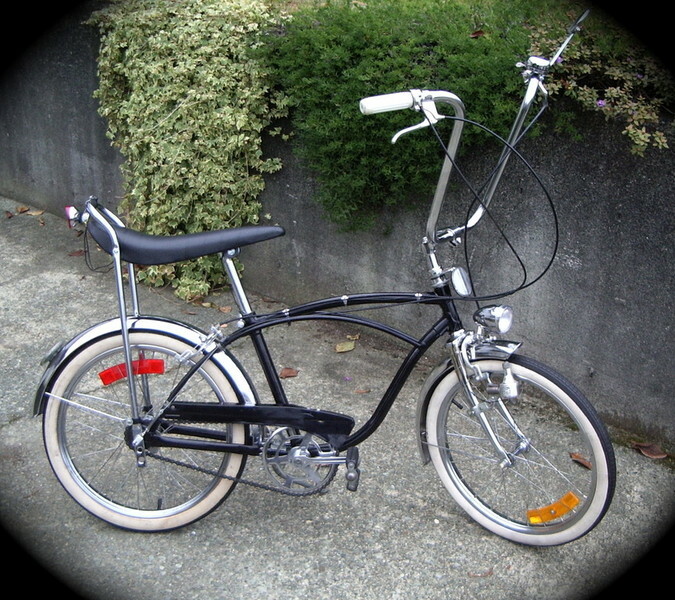 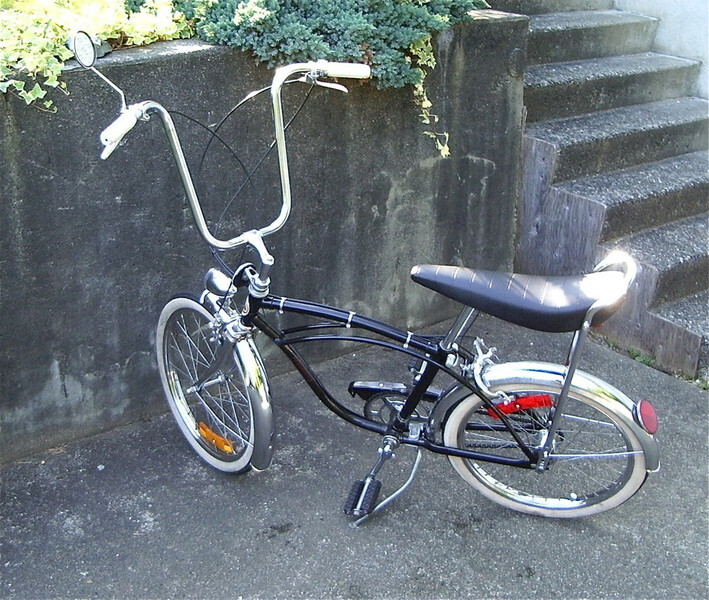 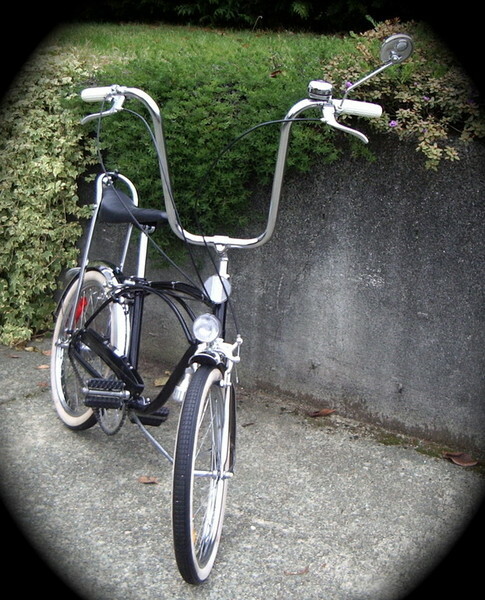 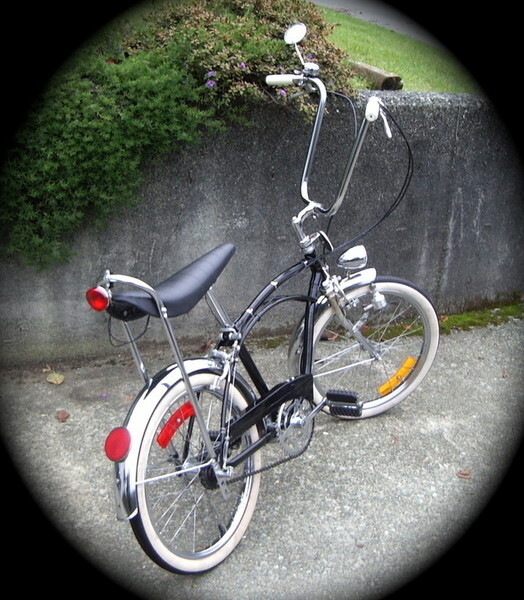 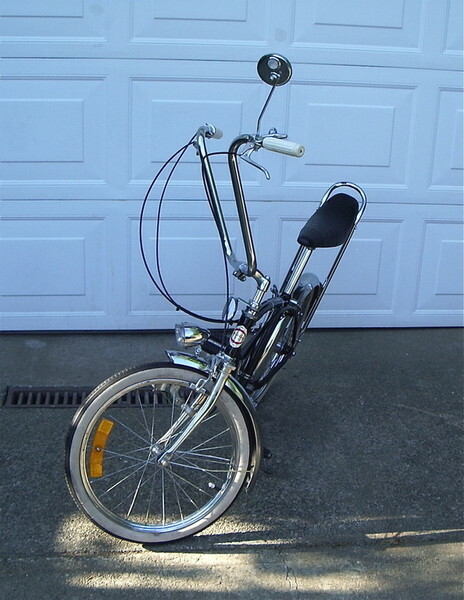 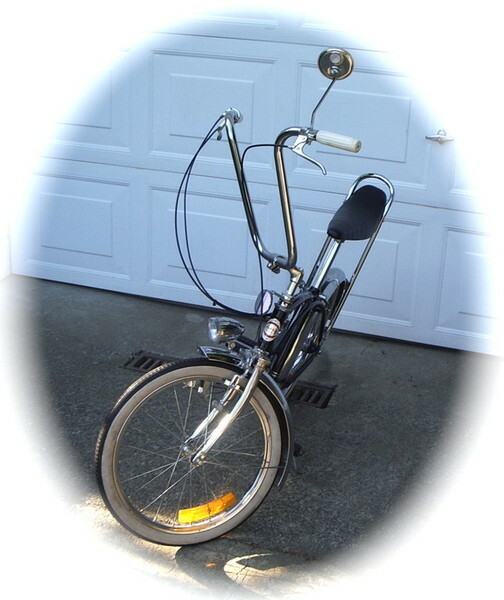 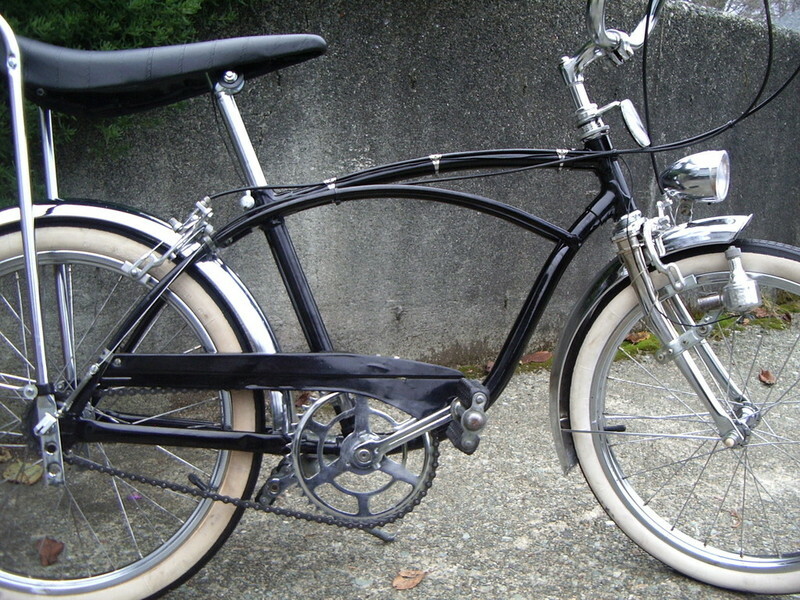 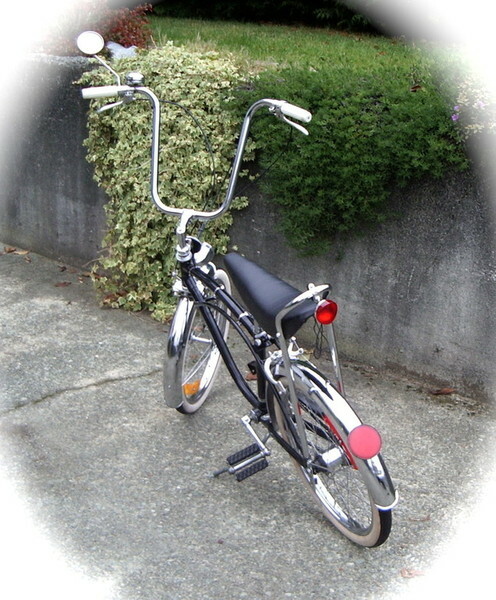 It's 3 speed internal gearing with a coaster brake, and works just great. 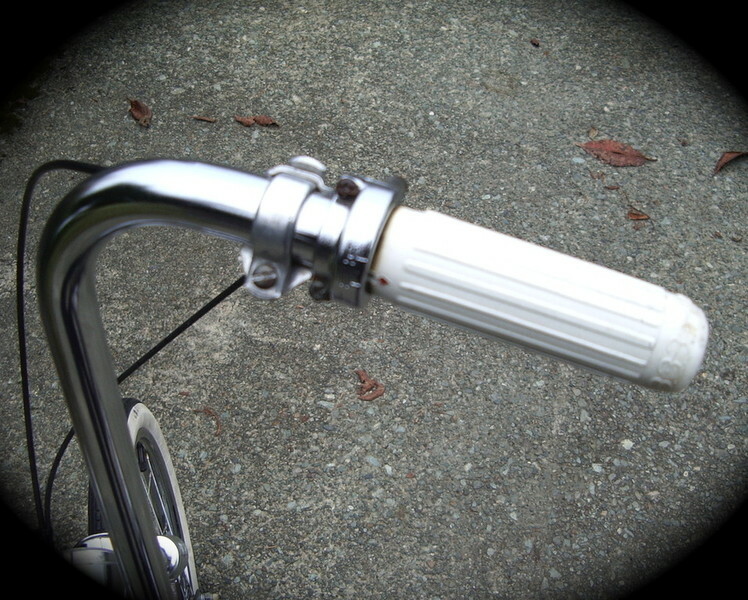 And these Pistol Dorcey grips are rare nowadays, specially as they are fitted over this rare Shimano 333 3 speed grip shifter makes them even more Rare, and very cool. 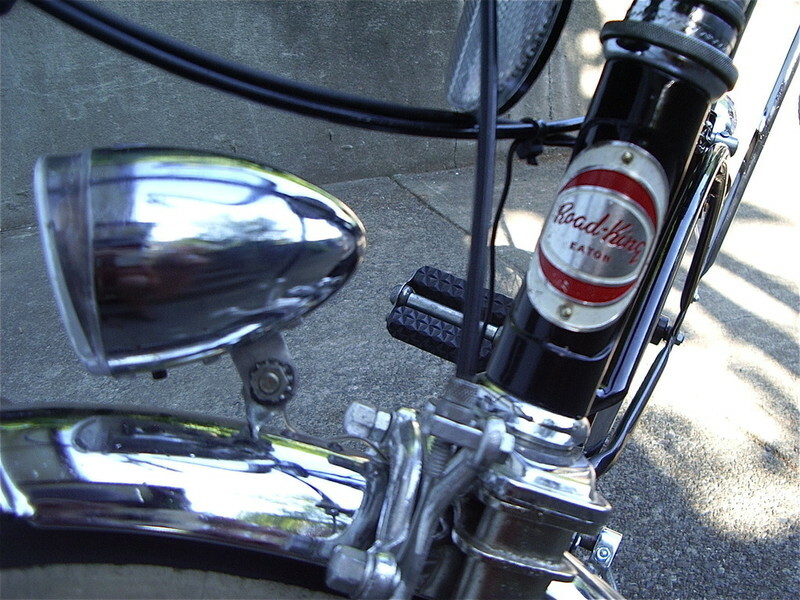 A few months back I found this real neat chrome chain guard with a nice looking cut, and some factory cut holes in it as well. 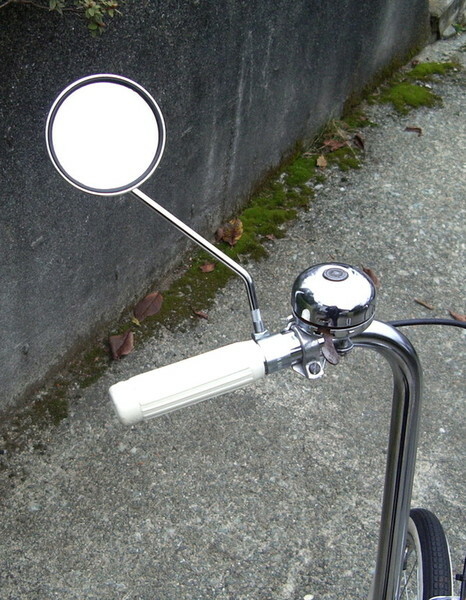 It happens that the brake arm for the coaster hub has some factory cut holes in it too, so I had to get busy and put it all together. 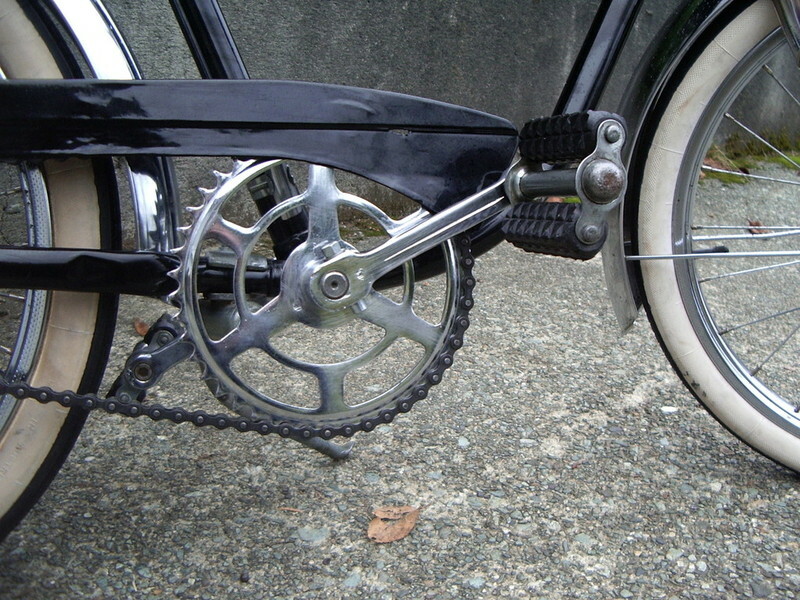 I replaced the cranks with a set of NOS Raleigh 44 tooth cranks. 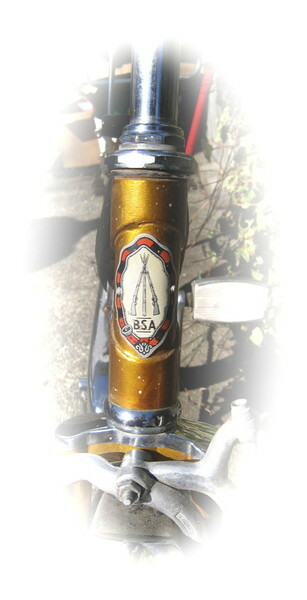 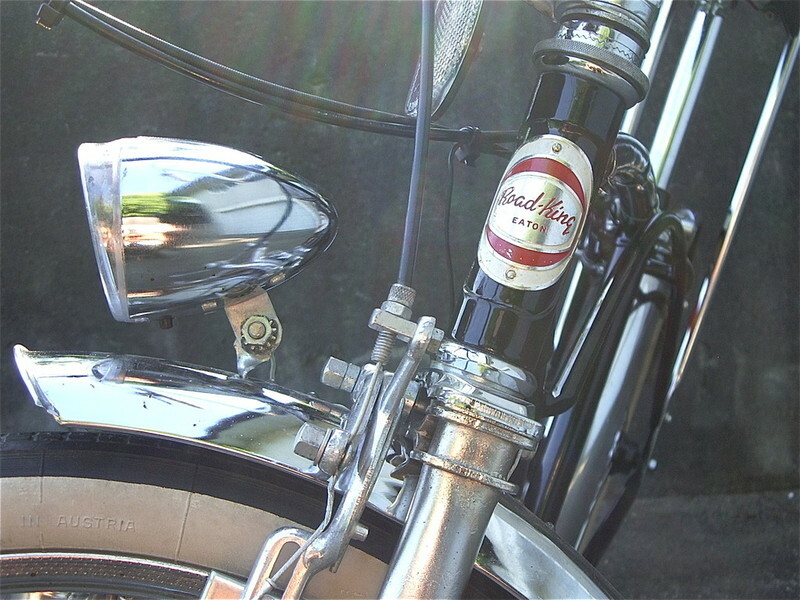 Of course made in England sporting that awesome high quality Chrome and steel. 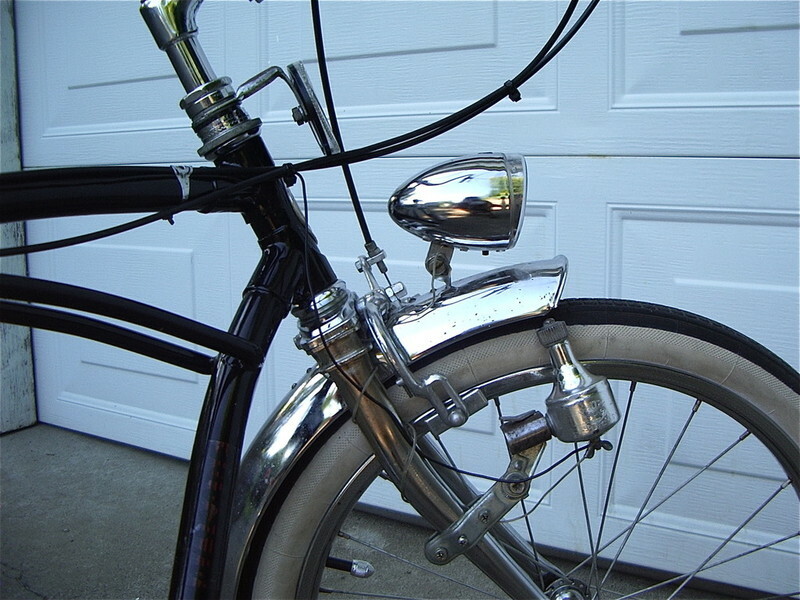 Along with the crank change I also changed the black pedals to a set of Vintage chrome plat form type. 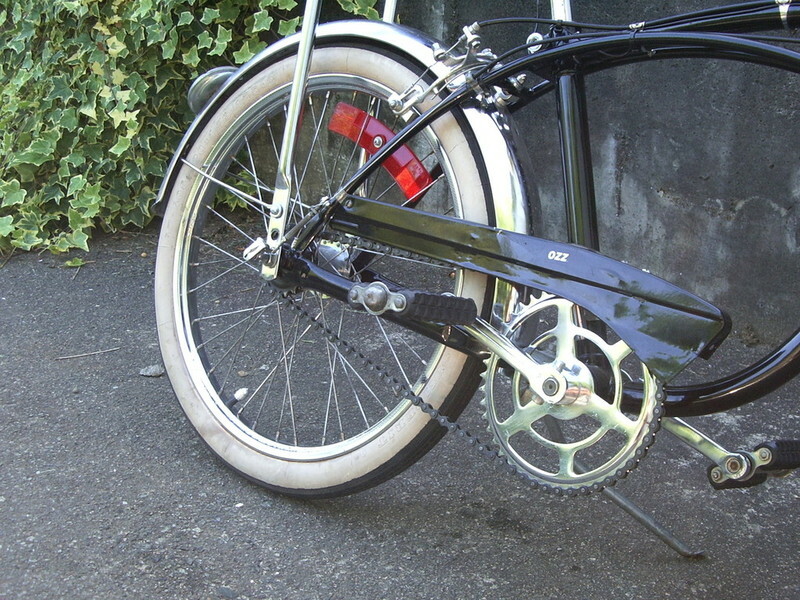 As well I laced the rear Shimano hub into a new rim. 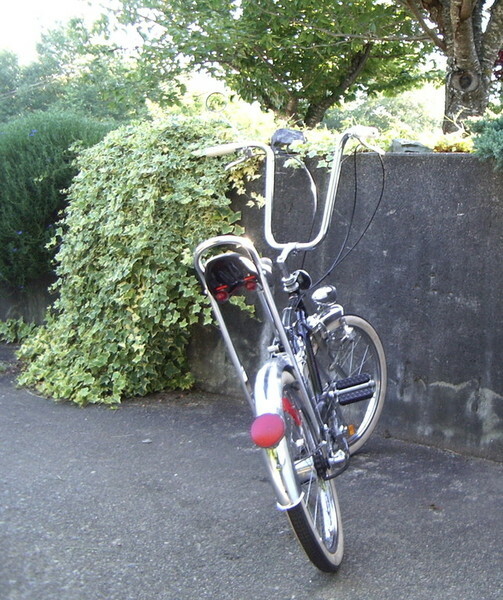 The bike came together very well. 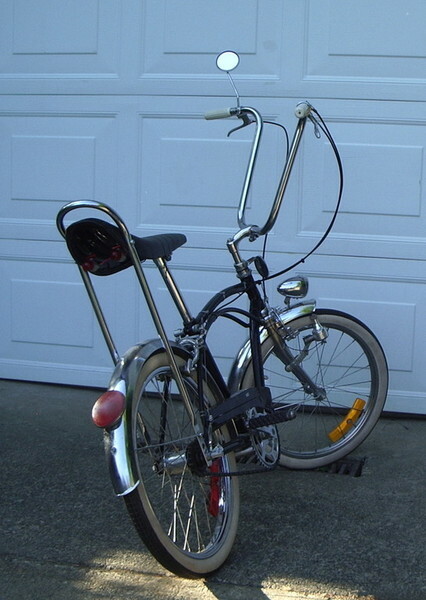 It looks rather New and it rides solid. 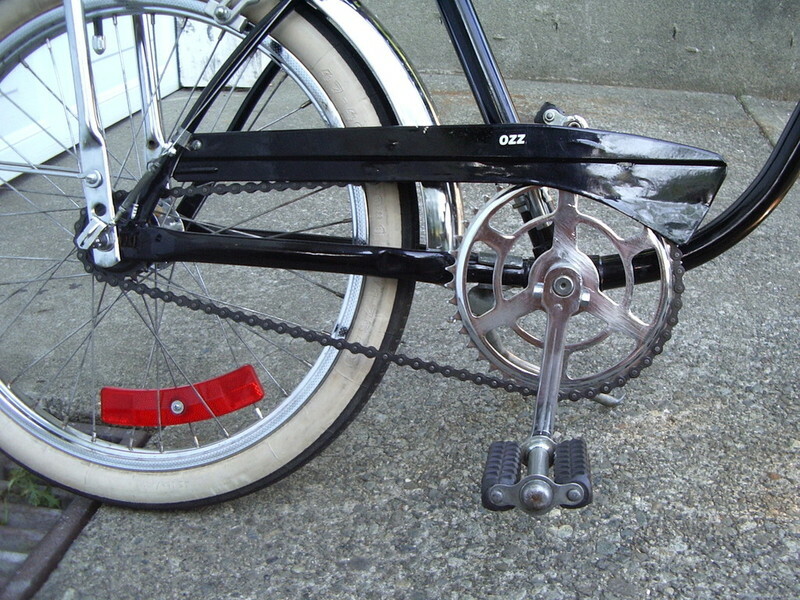 The shifting and braking from this bike is predictable, skidding is not a problem! 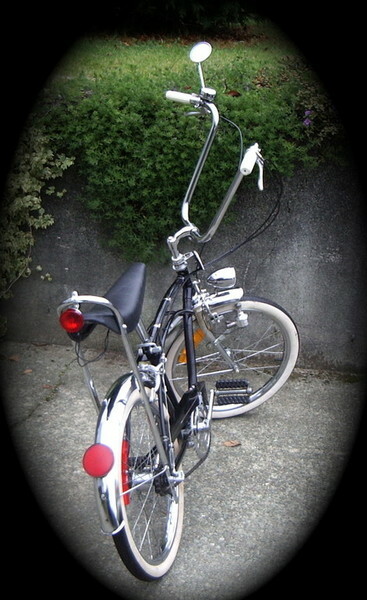 Black 'n Chrome It's all Vintage 60s/70s and looking real nice...! 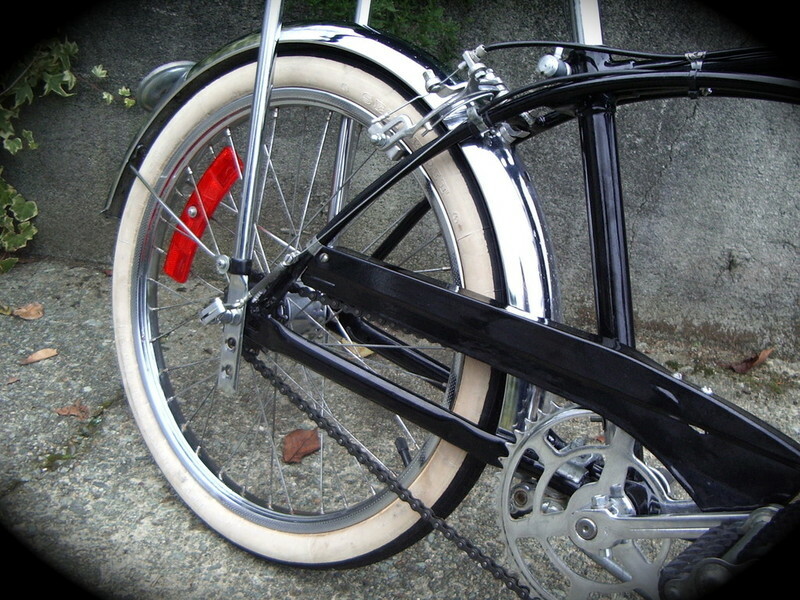 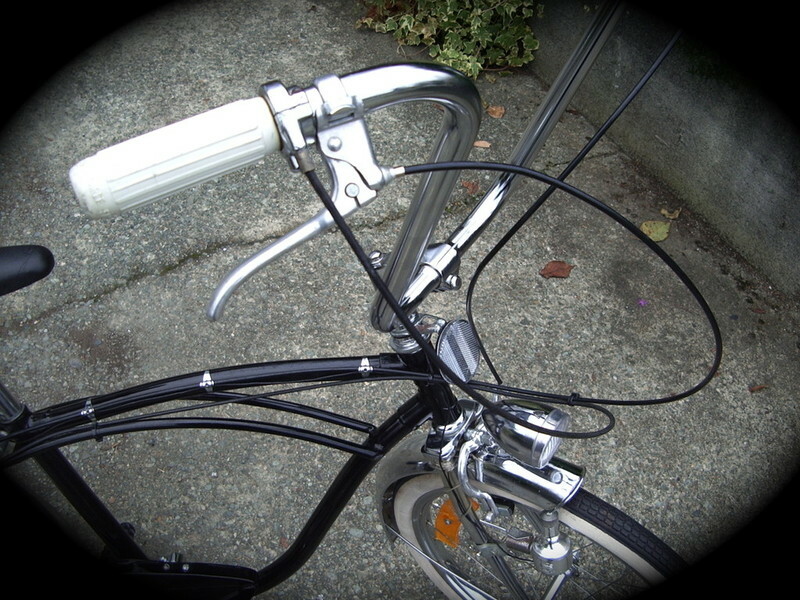 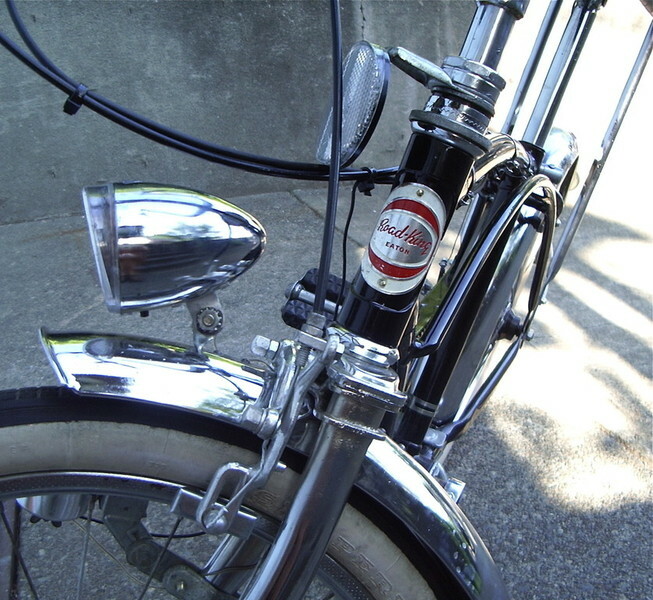 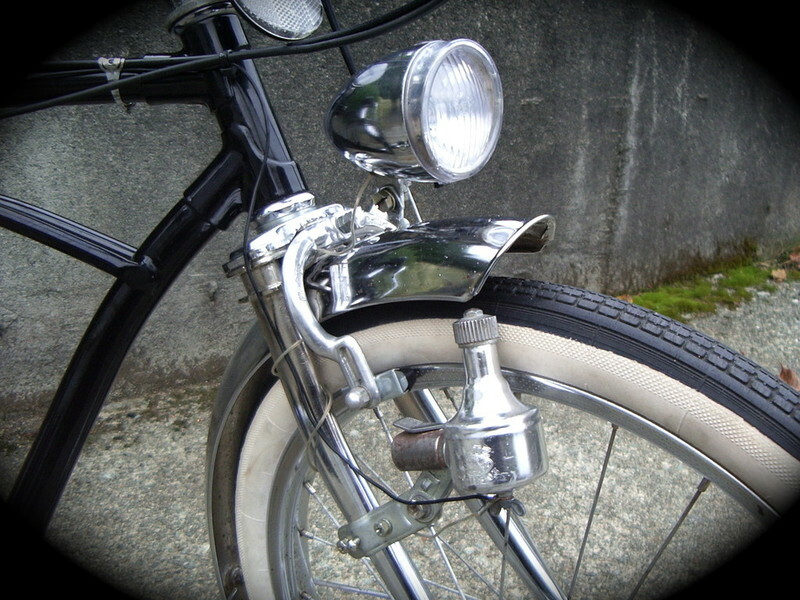 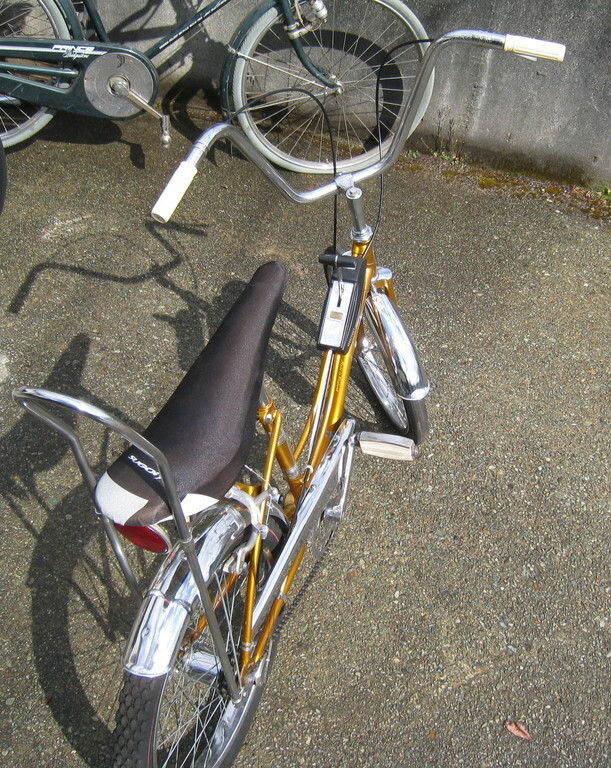 Update photos July 19th; I have added two new Sturmey Archer tail lights. 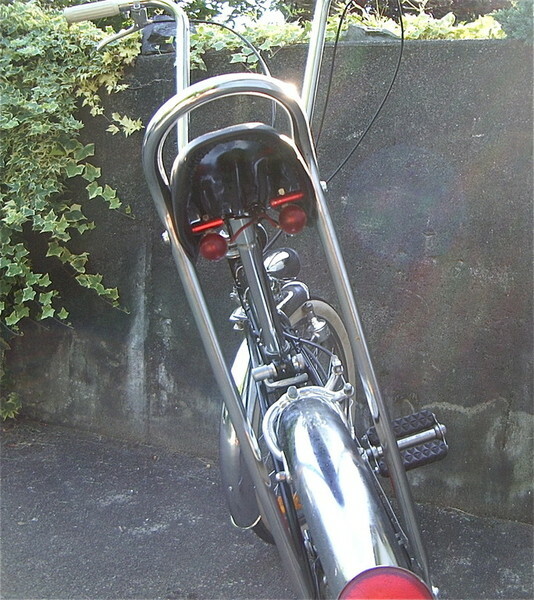 (And yes all the lights are working) I've also added a real cool Road King head badge. 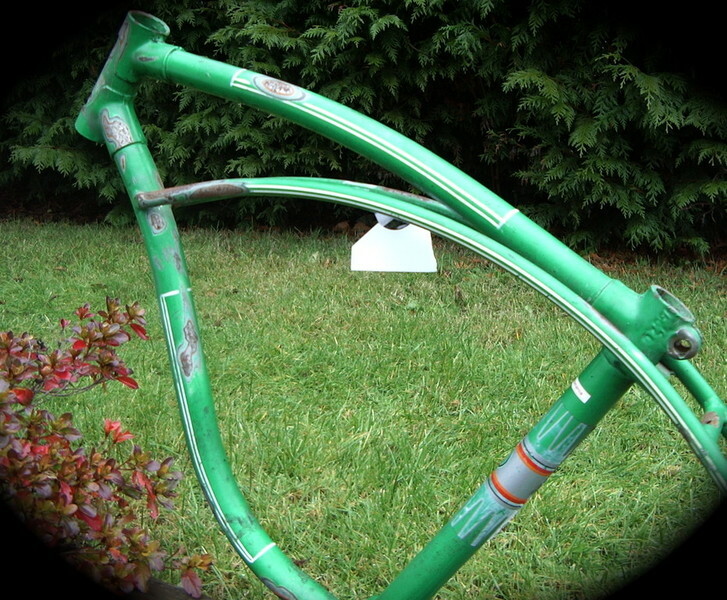 Most of the parts came off the Road King. 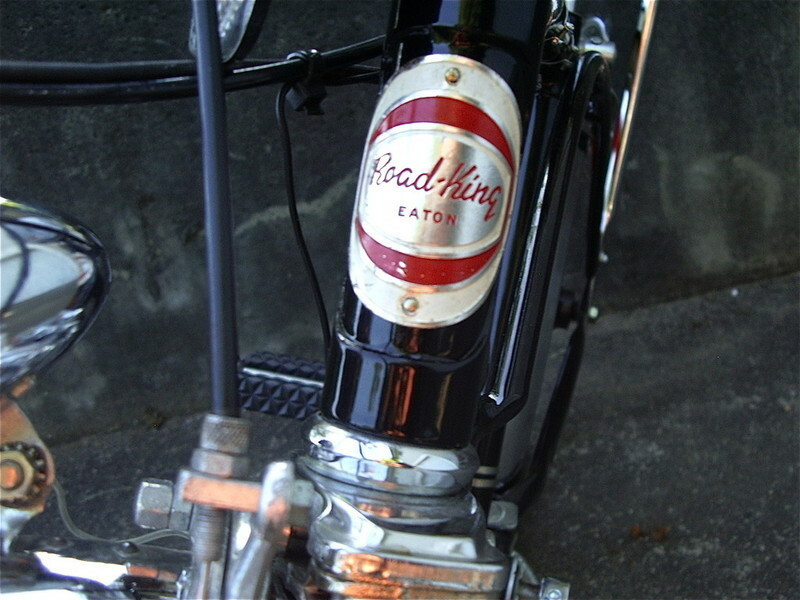 The Road King was an Eatons bike. 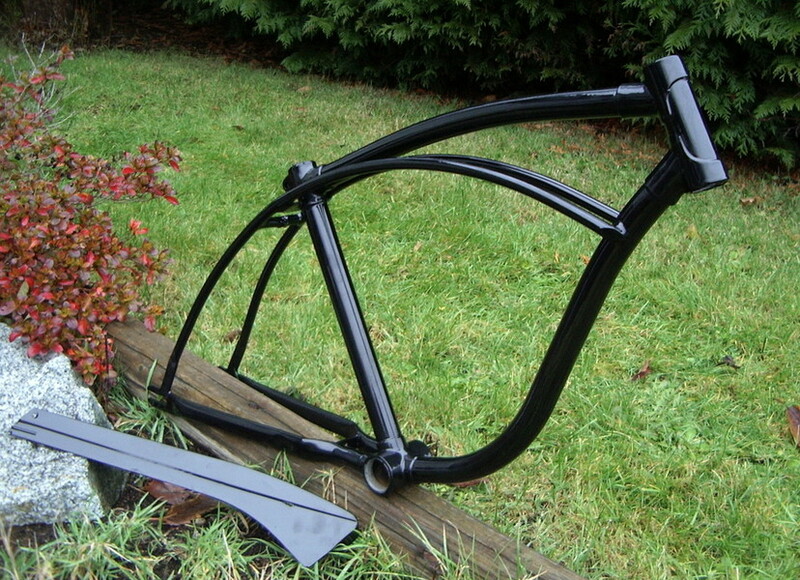 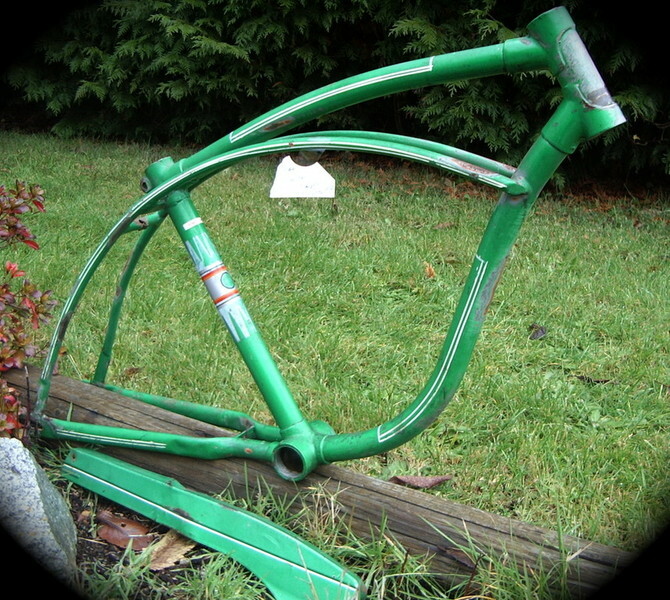 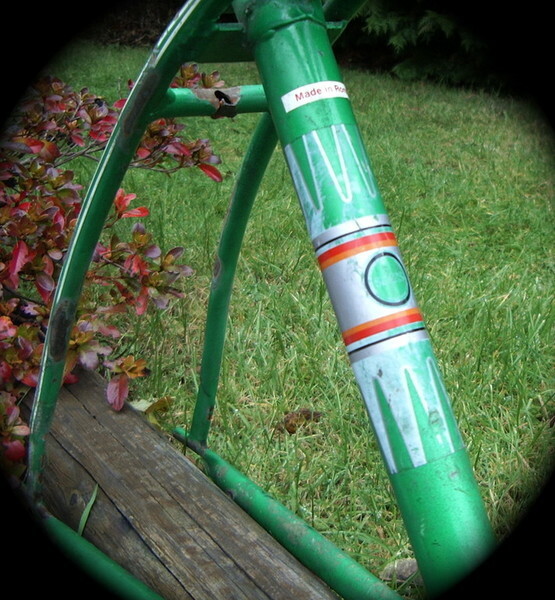 This frame was a Sears bike. 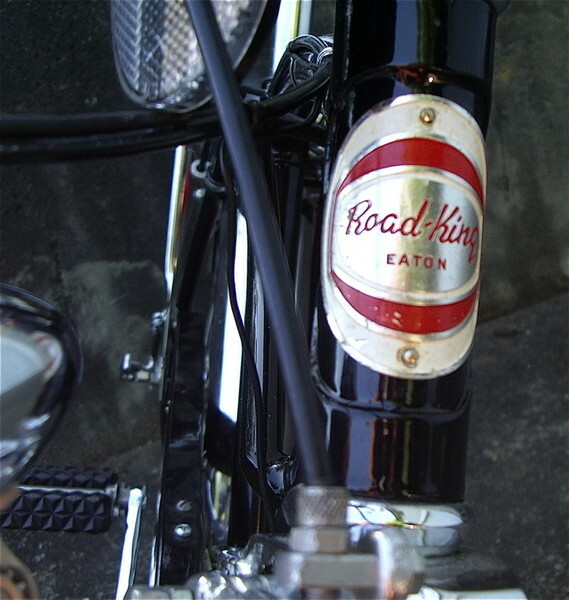 Road King of Hungry, and the Sears (Wild Cat) of Romania. 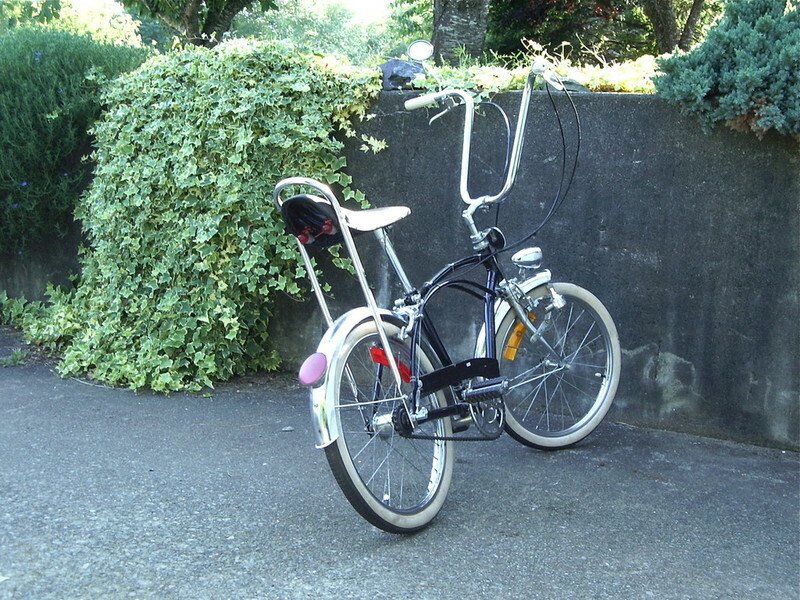 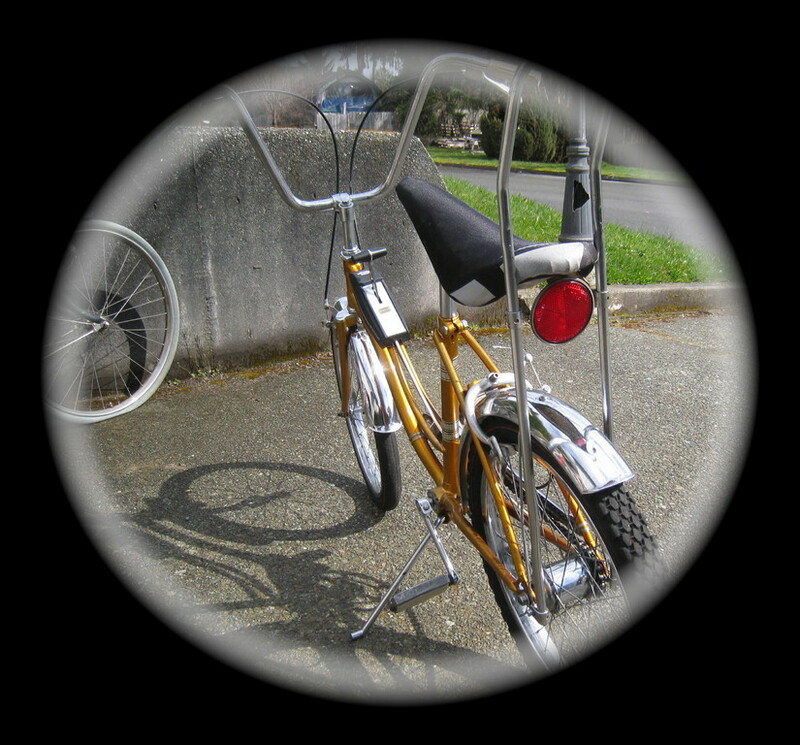 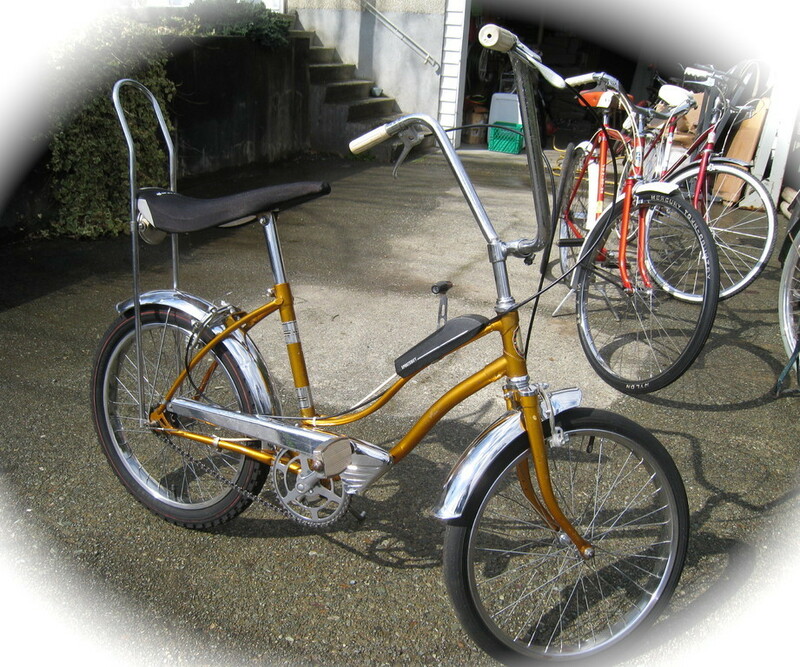 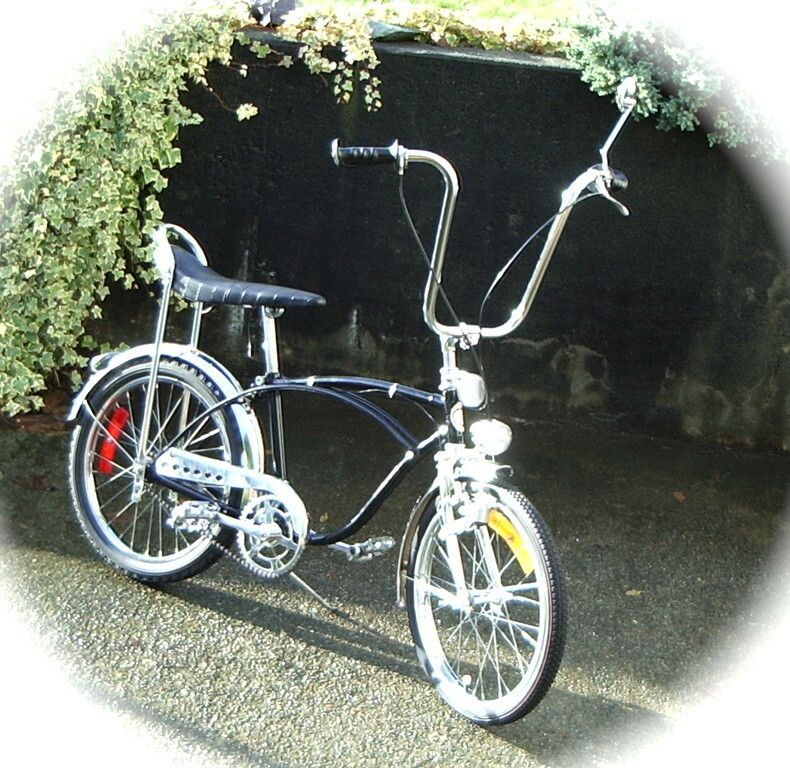 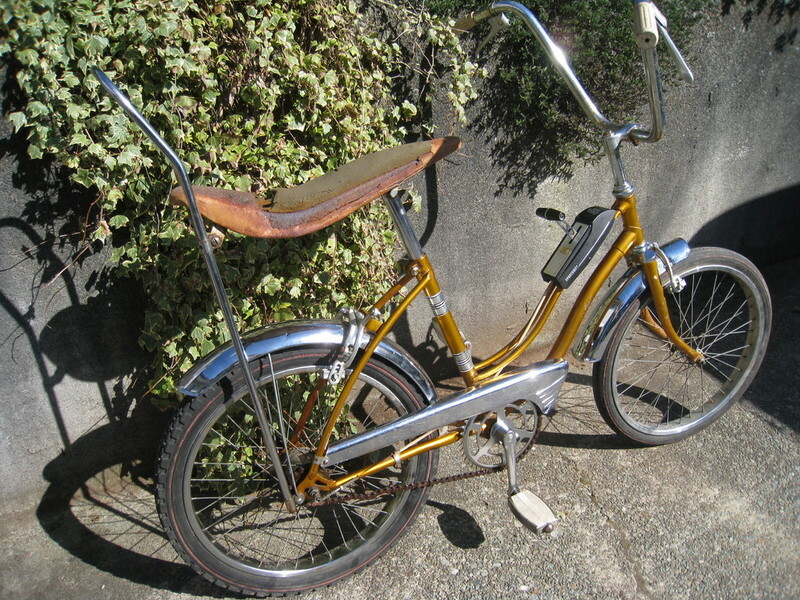 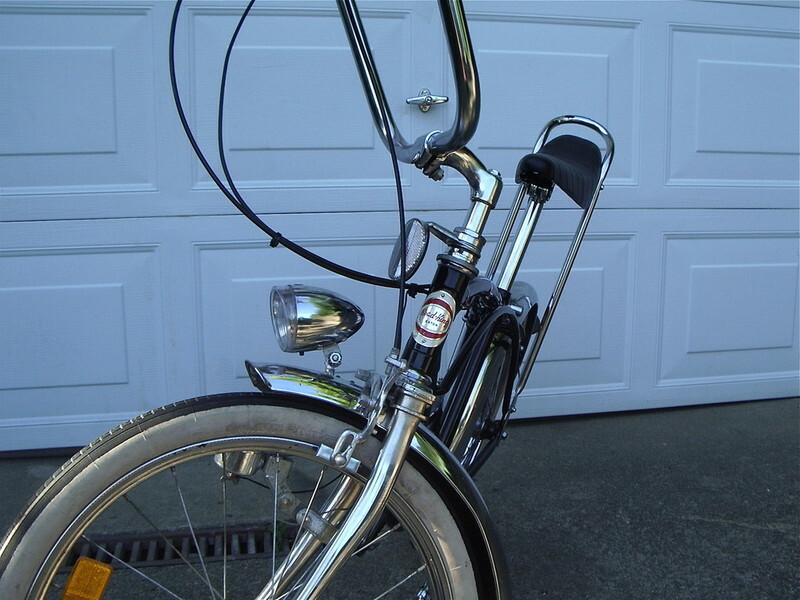 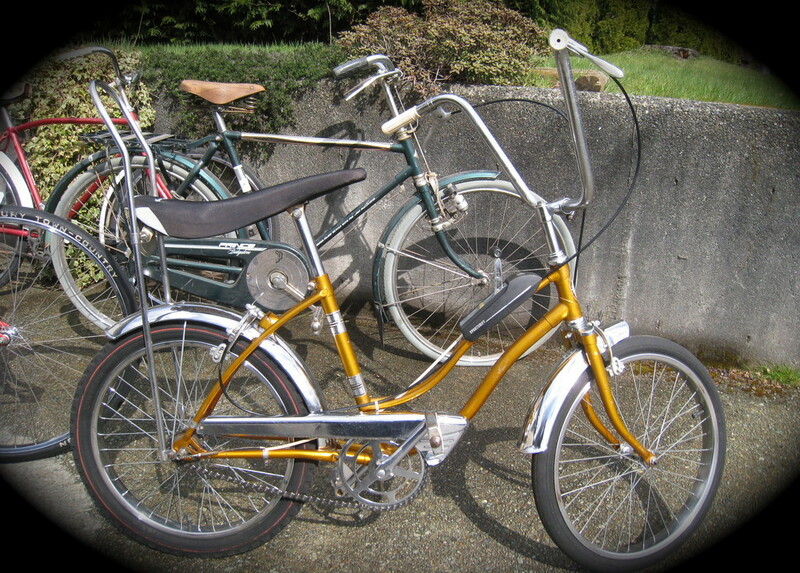 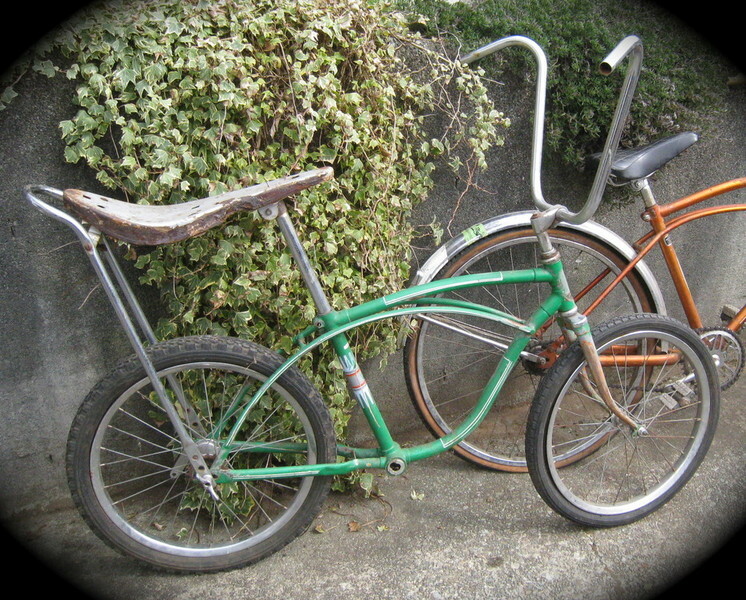 Both of these bikes were of the same era, the late 1960s. 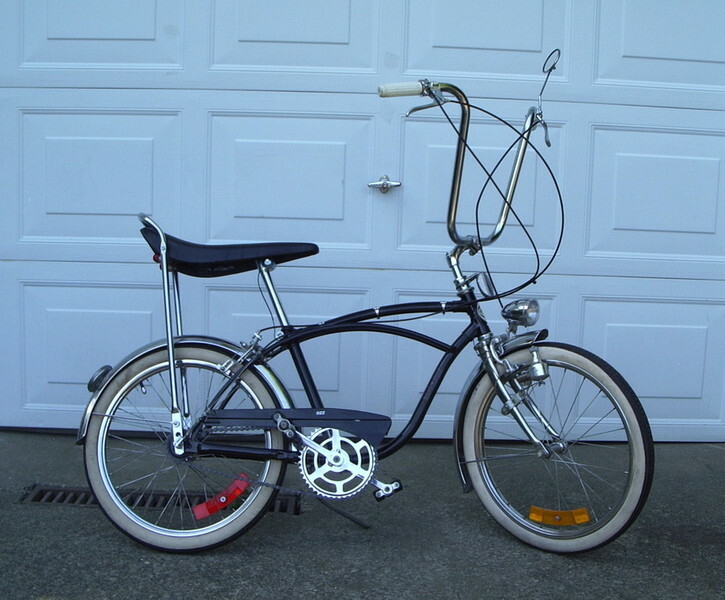 One of the 1st of it's type on the market in the mid to late 70s.